A new finding by Neonatal Intensive Care Unit, University Hospital Azienda (AOUS) and Le Scotte General Hospital, Italy, suggests that Omega-3 dietary supplementation decreased the severity of the symptoms and oxidative stress markers in a genetic disease, for which no effective therapy has been available. 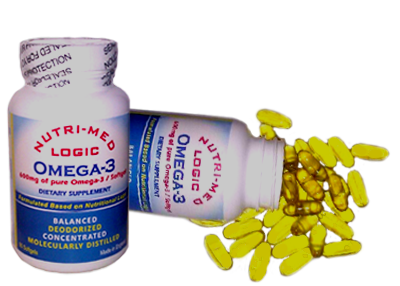 Nutri-Med logic Corp adds, while the study states that Omega-3 reduced the markers of oxidative stress, in particular in the red blood cells, but there is a distinct difference between producing anti-oxidant effects and being an anti-oxidant. Omega-3 is not an anti-oxidant rather it is an anti-inflammatory nutrient with broad protective properties, one of which applies to the protection of red blood cells against oxidative stress. For the first time, new findings of a remarkable study, published in the March 2012 issue of Genes and Nutrition, suggests Omega-3 dietary supplementation was an effective dietary intervention in the early stage of Rett Syndrome, a Genetic Disease, which no effective therapy was previously available. Nutri-Med logic Corp adds that while oxidative stress is the hallmark of the progression of this genetic disease, the benefits of Omega-3 in reducing such oxidative stress does not make Omega-3 an anti-oxidant nutrient; rather it confirms the protective roles of Omega-3, including but not limited to producing molecules that have anti-oxidant properties. Omega-3, inherently, is an anti-inflammatory essential nutrient. One remarkable aspect of this study was the incorporation of anti-inflammatory nutrient to combat oxidative stress, which is a key contributing factor in the progression of this disease. Oxidative stress is mainly due to lack anti-oxidant defense, which in most part involves an internal anti-oxidant called glutathione. Lack of anti-oxidant defense gives rise to excessive free radicals that consequently damage the human cells, red blood cells included. Malon-di-aldehydes are the end-product of the lipid peroxidation by metals such as iron. In red blood cells and the nerve tissue, the lipid peroxidation is generally protected by a plasmalogens, a particular type of cellular phospholipid. Accordingly, while supplementation of Omega-3 would potentially offset any decrease as the result of its deficiency, as it relates to the adequate production of plasmalogens and their subsequent protective role against lipid peroxidation, but Omega-3 is not an anti-oxidant by itself. Omega-3 is an anti-inflammatory nutrient. In conclusion, Nutri-Med Logic Corp state while this remarkable study expands the horizon, benefits and additional protective role of Omega-3, specifically in countering lipid peroxidation and/or oxidative stress on the red blood cells, but it should be strongly noted that Omega-3 is not an anti-oxidant nutrient, rather an anti-inflammatory nutrient with many noteworthy health benefits, including but not limited to cardiovascular and nervous system. 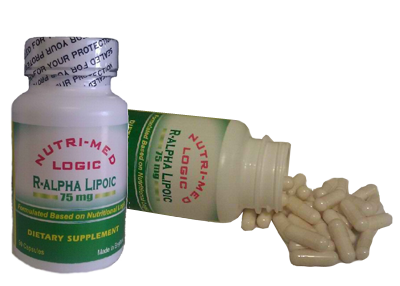 Nutri-Med Logic Corp is the producer of the Natural, Balanced, Deodorized and Concentrated Omega-3, which is also a Pharmaceutical Grade Omega-3.